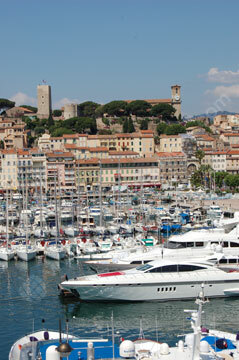 Take a French course in Cannes, one of the most glamorous cities in the Mediterranean! Our French language school in Cannes occupies a self-contained campus, just moments away from soft white sands, washed by warm, clear waters. 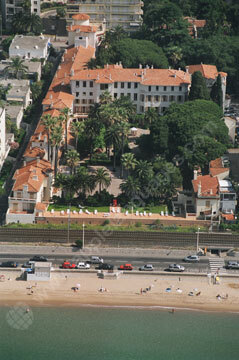 Beachside hotels line the famous Boulevard de la Croisette, housing exclusive bars and clubs. This is where celebrities hang out during the famous Cannes Film Festival and countless other festivals. For a little more culture, explore Le Suquet, the old town of tiny cobbled streets and intimate cafés. 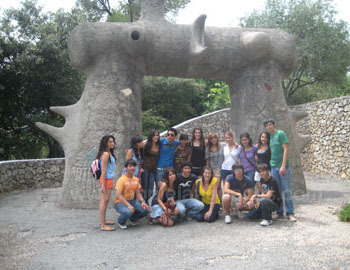 Here you’ll find the superb Musée de la Castre, with its wealth of art from ancient civilizations. 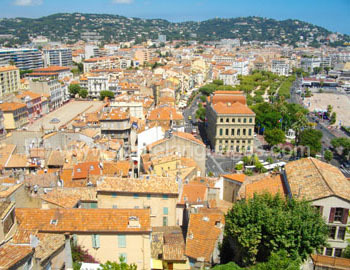 Le Suquet also offers superb views of Cannes’ sea of terracotta roofs marching down towards the Mediterranean. Past the shimmering yachts moored in the marina lie the idyllic Îlles de Lérins, where the Man in the Iron Mask was imprisoned. 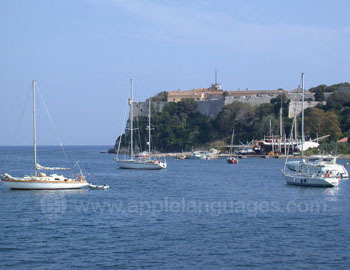 Our French school lies right on the seafront, just along the coast from the old town. 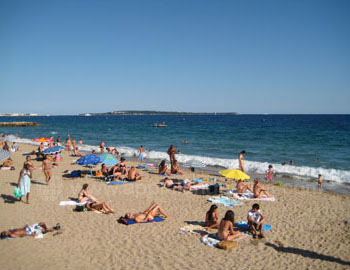 Central Cannes is only a 15-minute walk away. The campus boasts excellent facilities, including on-site accommodation and free wireless Internet access! There are 24 classrooms, a student cafeteria, library/computer room, theatre, basketball/volleyball court and sun terrace. You can learn French in Cannes at your own pace! Our school’s Semi-intensive, Intensive and Super-intensive courses consist of 18, 21 and 25 French lessons per week, respectively. 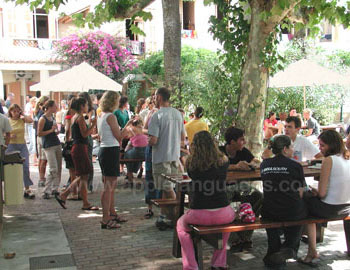 These courses take place in same-level groups, so you can practice your French and socialise with your fellow students! Alternatively, Private Lessons are available, which allow you to completely customise your course to suit your own interests and requirements. If you need to study French for work purposes, you may wish to consider our Business French course in Cannes. This course focuses on French in the world of work, giving you some all-important skills to put to use in a business context! We also offer a Mini-group course, taking place in groups of no more than 3 students. This is the perfect option for anyone wishing to have more personal attention from their teacher and improve at a fast rate. Enjoy the convenience and superb facilities of our school’s on-site Student Residence! There are comfortable single, double and triple rooms, with shared showers and toilets on each floor. Choose to stay on a half board or full board basis, eating two or three meals per day in the school’s restaurant. At weekends, brunch is served in place of breakfast and lunch. You can use the school’s free Wi-Fi connection in your room, and you’ll have easy access to the cinema, sun terraces and other facilities! For a more authentic experience of France, live with a host family in Cannes and immerse yourself in the local way of life. Our school only works with friendly, welcoming families, who will happily help you to practice your French language skills. 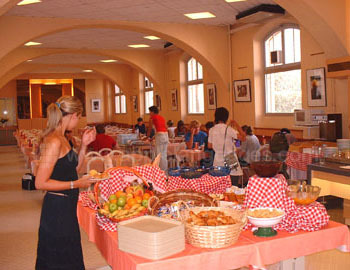 Host family accommodation includes breakfast each day, with some families also providing dinner. Of course, you can always eat in the restaurant or café on campus, if you’d prefer to do so. We want you to have an unforgettable time on the French Riviera, so our school organises a varied program of optional activities. 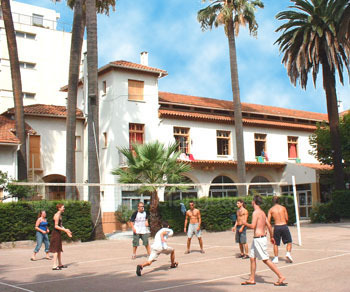 Enjoy football, tennis, volleyball, snooker and other sports completely free of charge, as well as wine, cheese and crêpe evenings. Other activities, including horse riding, rafting, scuba diving, mini-golf, ten-pin bowling and parasailing, are also regularly offered. See more of the Provence region with half day trips, taking in destinations such as the Îlles de Lérins, Grasse, the Picasso Museum in Antibes and the picturesque hilltop town of Biot. 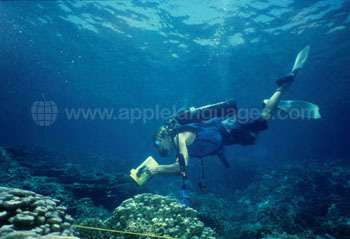 Full day excursions, usually during weekends, will take you further afield. 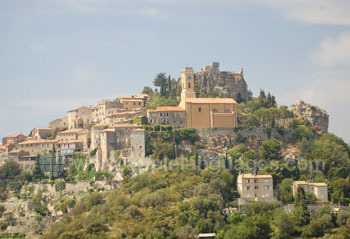 Enjoy trips to places like St. Tropez, Monaco, Aix-en-Provence, Avignon and San Remo, across the border in Italy! One-way and two-way transfers from Nice Côte d’Azur International Airport are available upon request. Please be aware that this service carries an extra cost. Average score for our school in Cannes based on 4 previous client reviews. It was great & my teacher was awesome. In one week we've [covered] a lot of things and it was so helpful for me. I would recommand this course immediately. 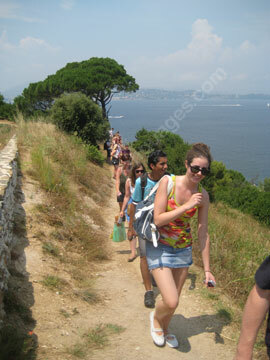 The teachers in Cannes are great, the staff is friendly, and the course is well organised. The host family was really friendly. 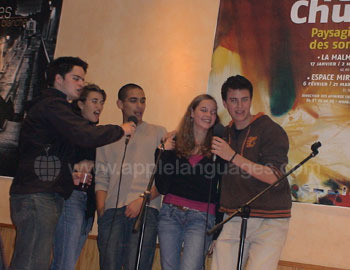 A big thanks to the Apple language team for their service, gentleness and fast answers on all our questions. The beach in front of the school!